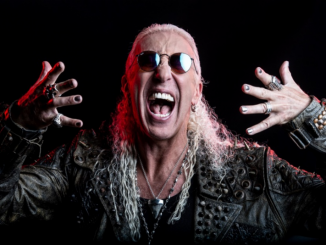 HomeFeatureDEE SNIDER Signs With Napalm Records Worldwide! We are thrilled to announce that legendary TWISTED SISTER frontman DEE SNIDER inked a deal with NAPALM RECORDS for his upcoming solo album! This opus is entitled “FOR THE LOVE OF METAL” and will deliver what its name promises: pure world class metal! “FOR THE LOVE OF METAL” is produced by Hatebreed vocalist Jamey Jastaand features contributions from Howard Jones (ex-Killswitch Engage), Mark Morton (Lamb Of God), Alissa White-Gluz (Arch Enemy), Joel Grind and Nick Bellmore (Toxic Holocaust) and Charlie Bellmore (Kingdom Of Sorrow). So prepare for a unique masterpiece! DEE SNIDER – Releases Official Lyric Video For “Tomorrow’s No Concern” via Billboard!